Come and join us at Hamilton Princess’ Beach Club for its first event of the year and kick off the summer season in style. 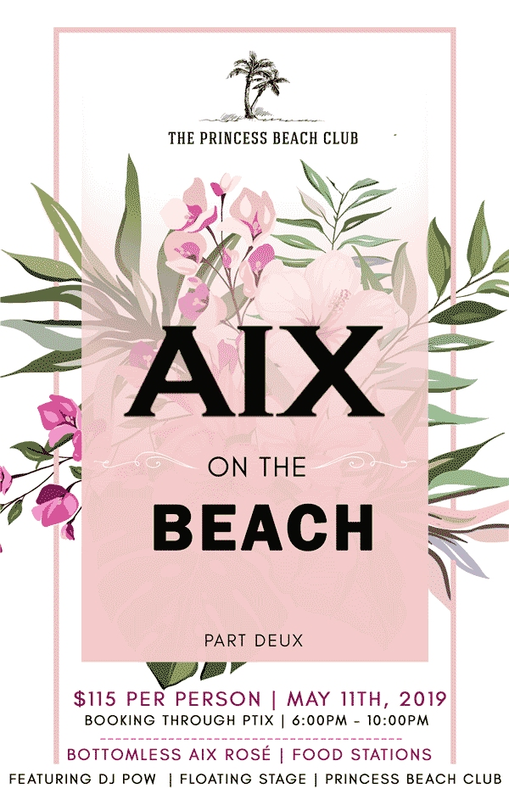 Enjoy free flowing Vin De Provence ‘AIX Rosé’ along with freshly prepared food at our dedicated food stations at one of Bermuda’s best kept secrets. While you enjoy your meal, you can unwind to tunes from DJ Pow.